Ships today if you order in the next 14 hours 41 minutes. 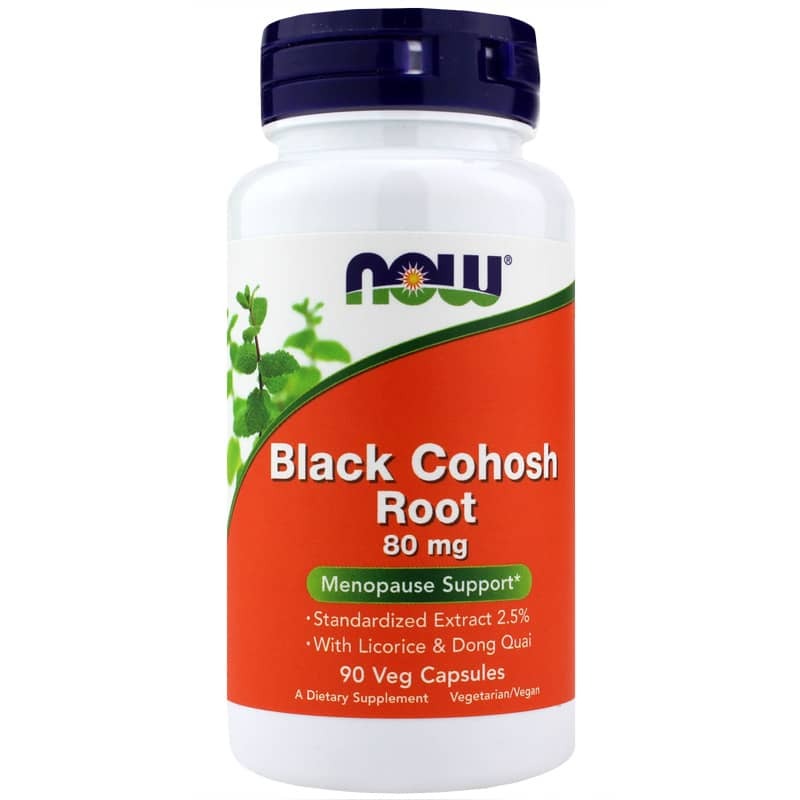 Black Cohosh by NOW is an herbal supplement for hot flashes, menopause symptoms, night sweats and other female issues. Formula also includes licorice root and dong quai to increase its usefulness in the female system. Black Cohosh is a Native American herb that has historically been used by middle-aged women to help support a number of female challenges. This potent extract is standardized to contain 2.5% total triterpene glycosides, the active measurable component in Black Cohosh. 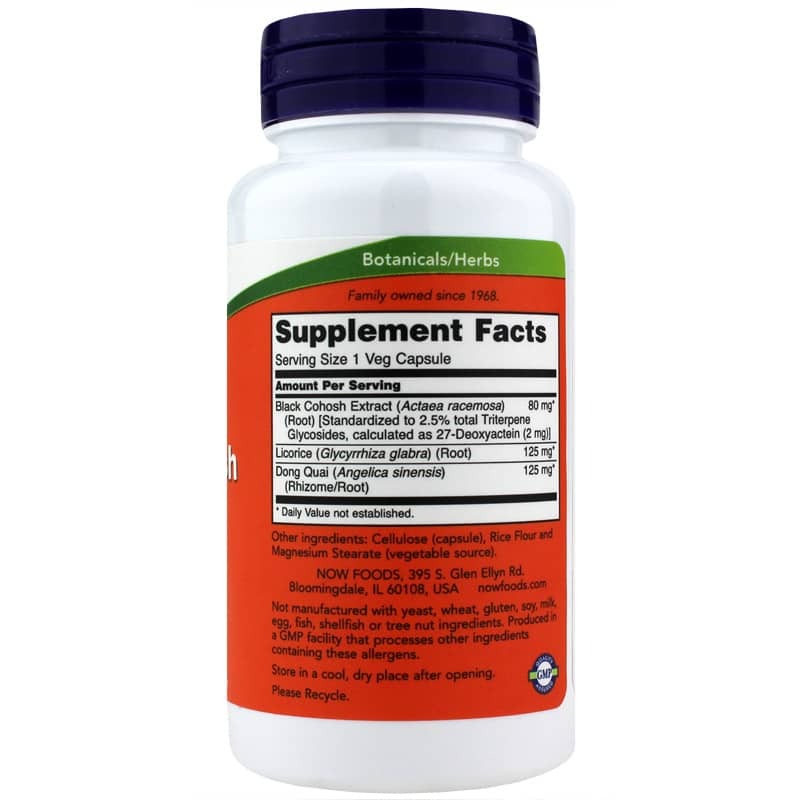 Adults: As an herbal dietary supplement, take 2 Capsules daily, preferably at separate times (1 in the morning, 1 in the evening). If you are taking a birth control pill, are pregnant, lactating or are considering becoming pregnant, seek the advice of your physician prior to using this product. Keep out of the reach of children. WOW!! I tried this product suggested on the Dr OZ show. IT REALLY WORKS!! I have tried different variations and dosages of Black Cohosh, mainly because I don't know what's best. I think I found it in this item. 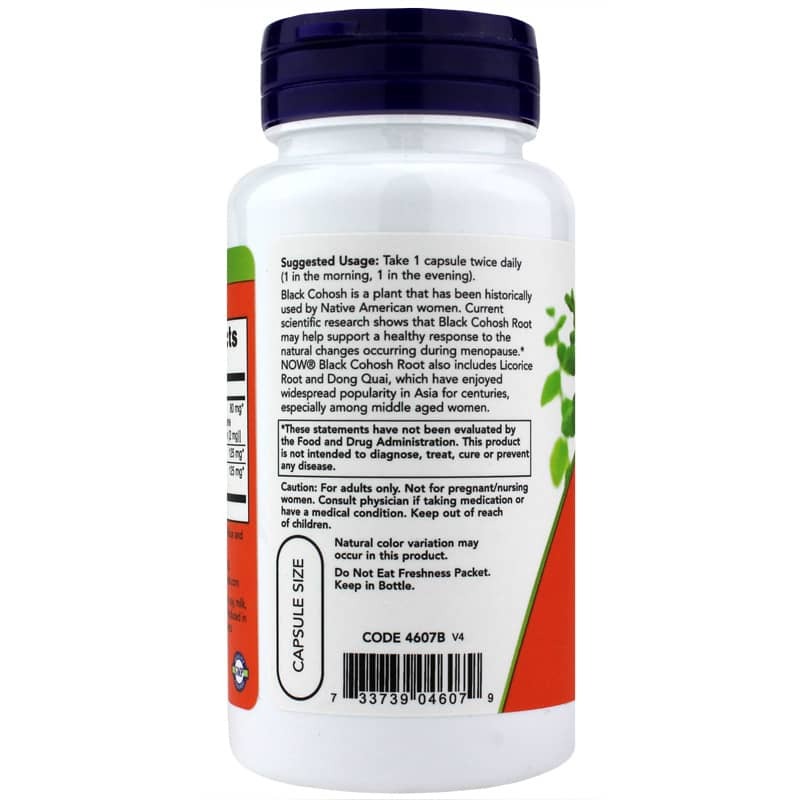 My physician recommended black cohosh for hot flashes.<br>I have been taking it for 2 weeks now, works very well.